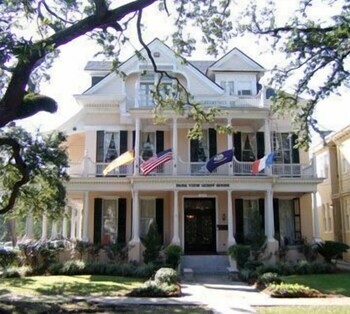 Park View Guest House places you in Carrollton, within a leisurely stroll of popular sights such as Tulane University and Loyola University New Orleans. All 22 rooms provide phones. Guests of Park View Guest House have access to WiFi in public areas. Onsite parking is offered for a fee. The preferred airport is New Orleans, LA (MSY-Louis Armstrong New Orleans Intl. ): 27-min drive, 15.4 mi/24.7 km. The following credit cards are accepted: American Express and Visa.